The Salisbury & District Angling Club offers superb quality fly-fishing for wild brown trout and grayling on the river Avon and its tributaries Wylye, Nadder, Ebble and Bourne in Wiltshire. Fly-fishing for rainbow trout is also available on small lakes, as well as coarse fishing on the rivers Avon and Nadder and the lakes of Petersfinger, Steeple Langford and Wellow. The club celebrated its 75th year anniversary in 2016. It was founded in 1941 by just six local members and now boasts a flourishing membership of over 2200 members from every walk of life and from many parts of the world. Initially a coarse fishing club, it started adding more game waters in the late 70’s and now has an impressive portfolio of many miles of rivers and a number of lakes. 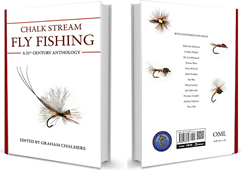 Our aim is to offer the real chalk stream experience to the angler community. The opportunity to catch and marvel wild fish in the unique English chalk stream surroundings, watching water voles and kingfishers going about their business. We are continuously making serious efforts to protect our rivers and lakes and manage them in the most sympathetic way. We have been improving fish habitat, significantly reducing levels of stocked fish and helping our aquatic fly-life. The club has a very active entomology centre and has been engaging in a number of local community activities. As a non for profit organisation our main objective is to provide affordable fishing to the community. Membership is open to everyone over 12 years of age. There are two types of membership, Game (Fly-fishing) and Coarse. Members who live within a 14 mile radius from the Salisbury Cathedral Spire may apply for “Full Game Membership”, or “Full Coarse Membership”. Anyone living outside this area may apply for “Associate Game Membership” or “Associate Coarse Membership”. Associate members do not have voting rights according to our club constitution, but otherwise enjoy the same privileges as local members. There is a waiting list in operation for both Full and Associate Game memberships. See more details under the tab “Join Us”. The Club remains firmly in the hands of local anglers with a strong management committee elected every five years to ensure continuity. We employ a full time general manager and 3 river keepers who are responsible for the running of the club and management of the fisheries. They are ably assisted by a hard working party of club officers, volunteer bailiffs and members. Should you decide to take up membership, have some time available and would like to help look after your fisheries our office would be pleased to hear from you.